It’s been quite a while since my last preview post. The year up to now has been pretty quiet for me, as relatively few preorders have managed to grab my attention in any meaningful way. In fact, I think Arshes Nei is the only figure I’ve ordered this year that opened in 2011 prior to the summer Wonder Festival. Predictably, the Wonder Festival unleashed a slew of interesting new figures that are now vying to get in my wallet. Nao isn’t exactly new, but she’s technically still not released yet and she’s relevant to my interests so I’m including her with the rest of this bunch. I really like the pumpkin as an unusual, holiday-themed prop and the way Nao is perched on top of it, which makes for an interesting pose. There’s also a lot of nice complementary color sets going on here with orange and blue, yellow and purple. As with most Orchid Seed figures, she features a cast-off, which I could care less for, but as long as they don’t screw her up as a normal figure it won’t bother me that it’s there. I’m planning to pick her up, but recent announcements have pushed her down the priority list a bit. Really love the goth-loli attire here and the huge wizard’s hat. Melty is cute and moe as hell. Props to Tony for the great character design and to Kotobukiya for not screwing it up (at least from what I can see). It looks like Kotobukiya USA will be distributing Melty, so I’ll probably try to grab her through them or indirectly through a US shop as Koto-US tends to price their offerings slightly lower than Koto-JP. Some people like Asuka’s test plug suit; some people don’t. Personally, I’m a fan. I think the test suit has more visual contrast and better accentuates Asuka’s body than the classic plug suit did. I originally thought for sure that I would pick up Alter’s test suit Asuka, but I waffled on the decision and she fell down the list to the point that Max Factory’s version is here and I’m thinking I like their version better. She’s currently at the top of my “to buy” list for preorder items. I wonder if I’ve let myself get too caught up in all the Madoka Magica hype. I haven’t even seen the show, but I ordered this figure on day 1 and I’m ready to order the R1 DVD set whenever Aniplex USA finally puts it up for preorder. Alter’s latest entry in their series of Hyakka Ryouran figures is a visual treat. You’ve got great colors (purple+gold and red+black), a gigantic weapon, and that pose combined with Naoe’s oh-so-short skirt providing a heavenly rear view. My only reservation with this figure is that appears that a separate support will be required for the hammer. I really don’t like seeing support rods and it was a major turn off for me when I unboxed Alter’s Selvaria to discover that they had provided one for her lance. Still, I don’t think these concerns will stop me from picking up this figure. I’m not entirely sure what to think of Love Is War Miku. The community at large seems to be gaga over her, but I’m not quite sold on this figure. 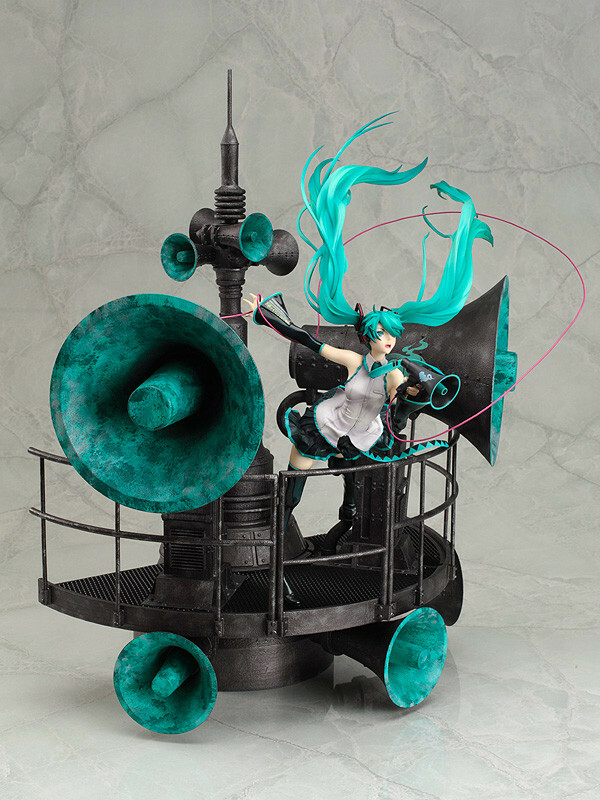 I can appreciate that she’s sort of an anti-moe rendition of Miku and the display base is gorgeous, but something about the figure just doesn’t scream “gotta have it” to me. That said, I have this sneaking suspicion that if I don’t get this figure now I’m going to regret it later. There will probably be some reviewer out there that takes just the right shot that makes me see the figure in a whole new light. The more expensive DX version features the full base and a hefty price tag. It’s also a GSC online shop exclusive, but GSC is the rare direct dealer that actually accepts international orders so there’s no need for a proxy. As with Melty, this is more Tony Taka-inspired goodness from Kotobukiya. The playful pose and milk maid outfit are rather nice here, along with some unusual props in the bread basket. What’s not so nice is the fact that this is a Kotobukiya online shop exclusive. Unlike GSC, Kotobukiya doesn’t accept orders from outside Japan which means proxy services and unwanted extra expenses. I would like to pick Neris up, but I think the timing of her release combined with the exclusivity tax will probably keep me from doing so. This entry was posted in Figures, Previews and tagged 1/6 scale, 1/7 scale, 1/8 scale, Aizawa Nao, Alter, Comic Aun, Evangelion, Good Smile Company, Hatsune Miku, Kaname Madoka, Kanetsugu Naoe, Kotobukiya, Max Factory, Melty, Neris, Orchid Seed, Puella Magi Madoka Magica, PVC, Rebuild of Evangelion, Shikinami Asuka Langley, Shining Hearts, Tony Taka, Vocaloid. Bookmark the permalink. Despite the cost, my vote’s on the Neris. She certainly looks nice, but even beyond the cost–I’m estimating about $175 with all fees and shipping–I have concerns about whether Kotobukiya can really deliver a top quality figure. I only own a couple of Koto figures, but they both managed to underwhelm me for various reasons. I would really hate to blind-buy Neris and come away disappointed. 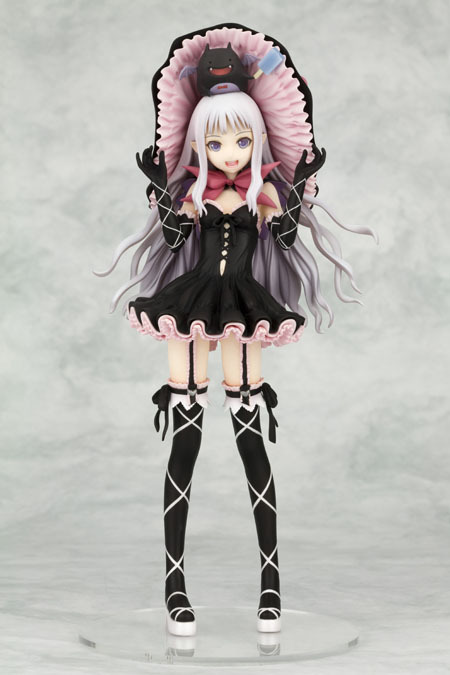 Still, I haven’t entirely made up my mind about whether or not I’m going to order her. I need to look at where all these preorders fall and see if I can squeeze her into the budget before the preorder deadline or not. I personally find NAO the most appealing of the group. I feel the same way about Hatsune. Everyone seems to be hyped up about her, while I”m still thinking wether to get her or not. This one of all the Hatsune gotta be popular for a reason though! I also think Naoe is the best pick! 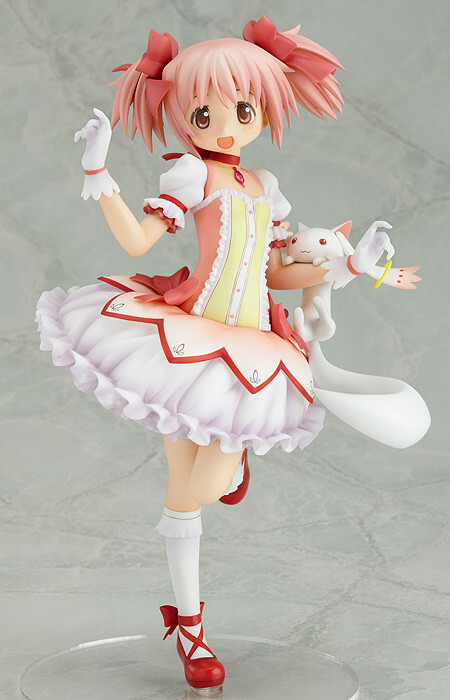 I’ve preordered her already ^^. I believe the preorder window for the DX version (i.e., fancy base) has closed, so it’ll be the second-hand market from here. It’ll be interesting to see where the prices are when she first starts appearing on Mandarake. I haven’t preordered Naoe yet–I’m a little funny about timing my preorders because of the way I budget my purchases–but she is at the top of my priority list. If Tsuki-board is any indication, she’s quite popular, so I’m a bit worried that she might sell out before I get my order in. I think it was shortly after seeing your blog that I decided to start my own blog! ^^. So far yet.. It seems it’s hard to get viewers, but I think It gets more as time flows =P. On the other hand, there’s only one figure review made, since we haven’t had time to review the other 16 figures yet… -_-. Yeah, I learned that lesson the hard way. Build it and they will come, right? Not exactly. I started my blog over two years ago and I’m just now starting to see a somewhat steady trickle of comments over the past couple months. 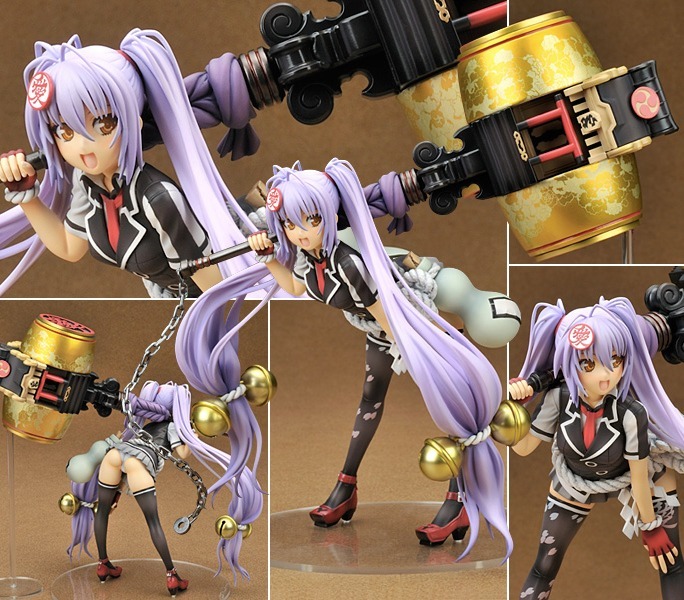 Disregard that “for sale in Japan only” notice on AmiAmi’s site. It’s there for all GSC figures. As far as I can tell, it’s just lip service. They’ll still sell it to you without any hassle. That’s where I got my Rin earlier this year and I also have Madoka on order with them. How did you manage to order Kotobukiya Neris? I ordered Neris from Big in Japan before their preorder window had closed. There were a handful of proxies including Tokyo Hunter, Yokatta, and Mio Boutique accepting orders for her and it seems that they all had a preorder cutoff date in the late September time frame. I’m guessing this corresponds to some cutoff date imposed by the upstream Kotobukiya shop that had the exclusive on Neris. It seems like most of the online shop and mail-order exclusives work this way from what I can tell.